There has been so much negativity in the news lately that it has made me very worried about the future of South Africa at times. Let’s not even start mentioning what has been happening lately, I really don’t want to dwell into the negatives because I feel it would kill my enthusiasm for our country. To combat this negativity, a bunch of South Africans have come up with a great nation-building initiative..
Dear South Africa. This is a call to join the #OperationUbuntu mission and help to paint South Africa with her flag. Load the photo on Facebook and use the #OperationUbuntu hashtag. You’re also welcome to spread the love on Twitter & Instagram (where people also love hashtags). Start sharing and flood South Africa with love! Do it at home, varsity, school, work or wherever you are and share it on your social networks! The photos and updates until the end of March! Now go on! Let the love and good vibes drown out the negativity that’s been doing it rounds lately. Check out the #OperationUbuntu Facebook page for more information and spread the word by sharing this article with your friends on your social networks. Let’s get a positive vibe going again in SA. 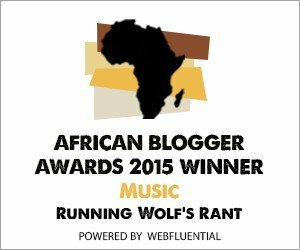 Watch this space for regular updates in the Events and Technology category on Running Wolf’s Rant.